Looks like the next big thing is here. Well almost, 15 years or so away. The person we are referring to is a 4 year old Englishman Archie Shepherd. ‘Little Messi’, as he is known as, has already caught the attention of major football clubs. West Ham, Arsenal & Chelsea are already helping to train the 4 year old star in the hope that he might join one of their youth academies on a full-time basis, according to the Mail. At the moment he practices twice a week with West Ham’s U-6 academy team, once a week with Arsenal and for a part of last summer he was at Chelsea’s Summer School. His father, Pat Shepherd, says Archie eats, sleeps and breathes the game. Archie recently scored 10 goals in one game for his club County Park FC, against a team of boys two years his senior. 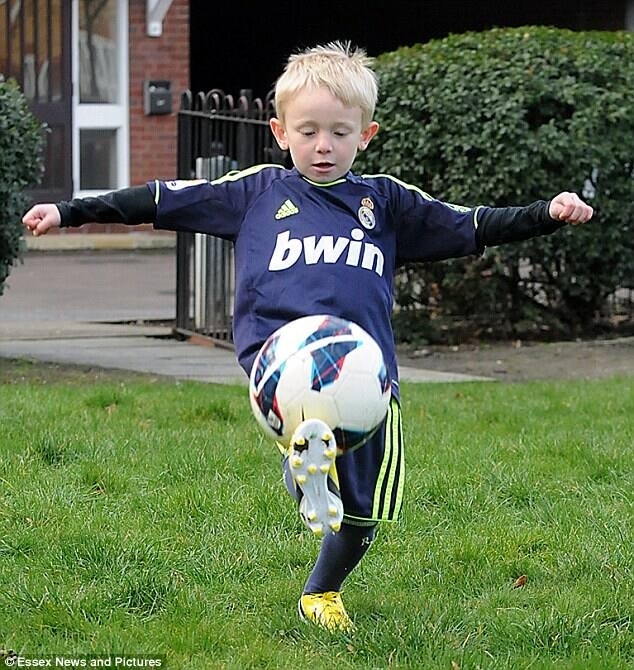 Though he is known as ‘Little Messi’ Archie says: ‘I love football. Picture Source: Essex News and Pictures. Wow! What a comeback from city and what a great attacking display from a Mancini sky blue Manchester. Some were even saying before the match that if they can win today against Chelsea they might win the Premier league and they didn’t disappoint their fans with a win. Tevez with a perfectly timed U-turn to the first team football and his assist toniht wins it for City.